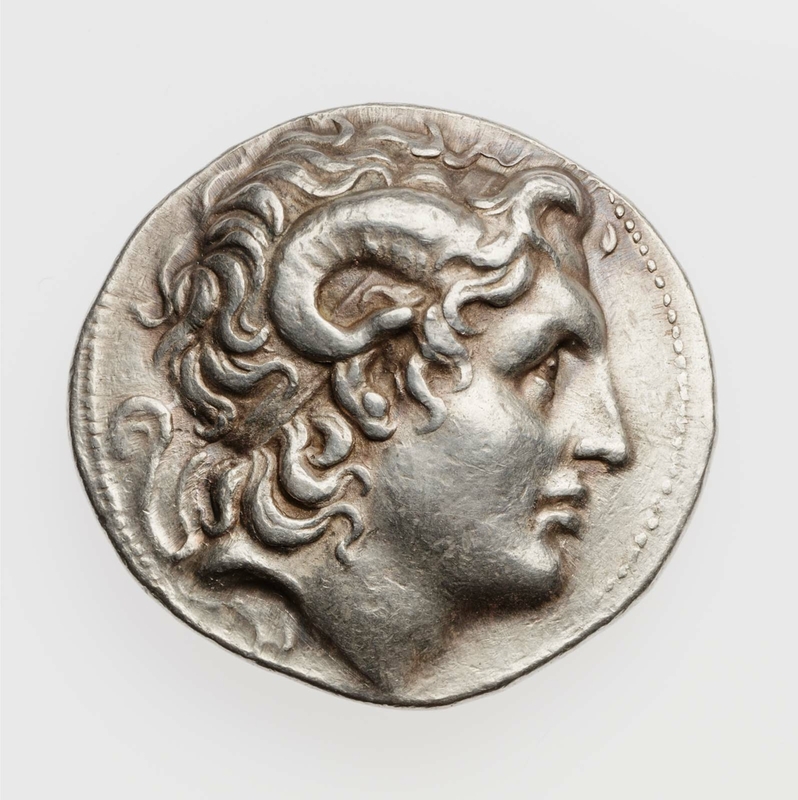 Obverse: Diademed head of Alexander to right, with horn of Zeus Ammon. 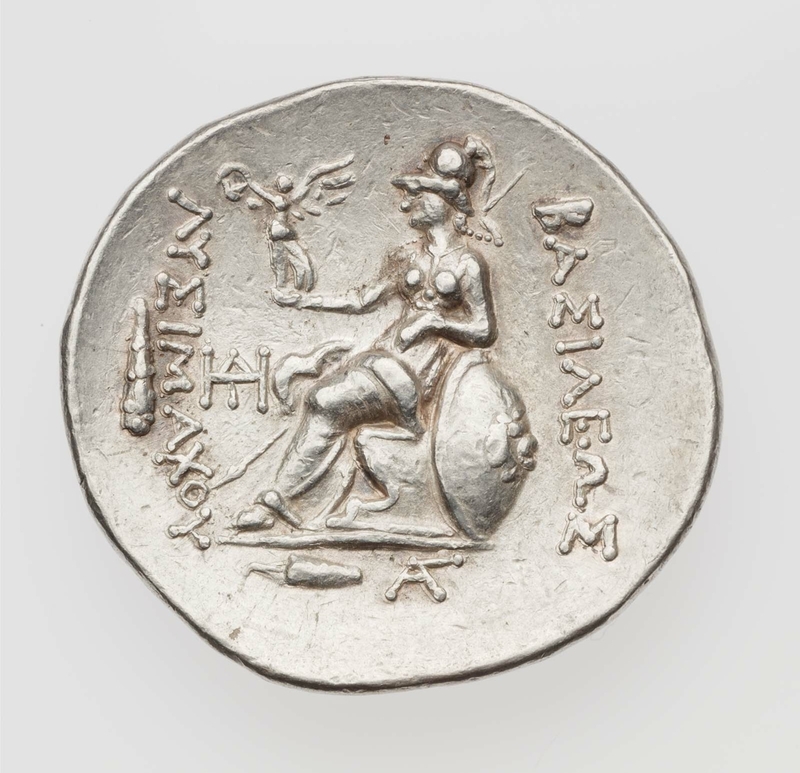 Reverse: Athena seated left, left elbow resting on shield, holding Nike on right hand. In exergue: bow in case and monogram. At left: club and monogram. Inscription in Greek in left and right fields, downwards.